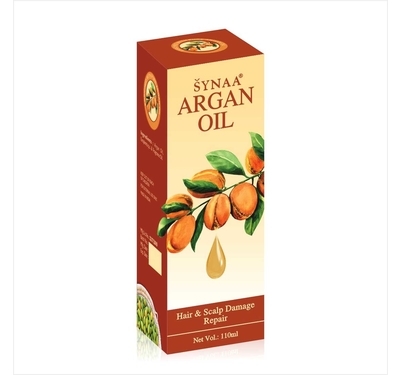 Hair and scalp care has become very important in modern times as it is continuously getting damaged with the impact of pollution, air conditioning, hair coloring, etc.. Synaa Argan Oil aids repairs of both hair & scalp. 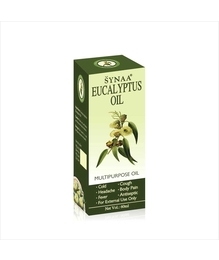 It provides immediate glow to hair, revitalizes healthy balance of scalp and also protects from UV rays. 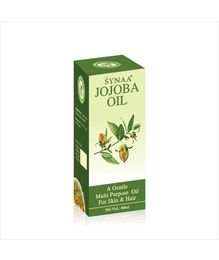 Buy Argan Oil online in India at low price from Synaa! Great Value for Money. NUTRIENT RICH: Rich in Vitamin E and Essential Fatty Acids. Great for Controlling Frizzy Hair, while Moisturizing and Sealing Dry Ends. Strengthens nails, and eliminates cracking on the skin around the cuticles. Reduces dry hair, split ends and frizzies.